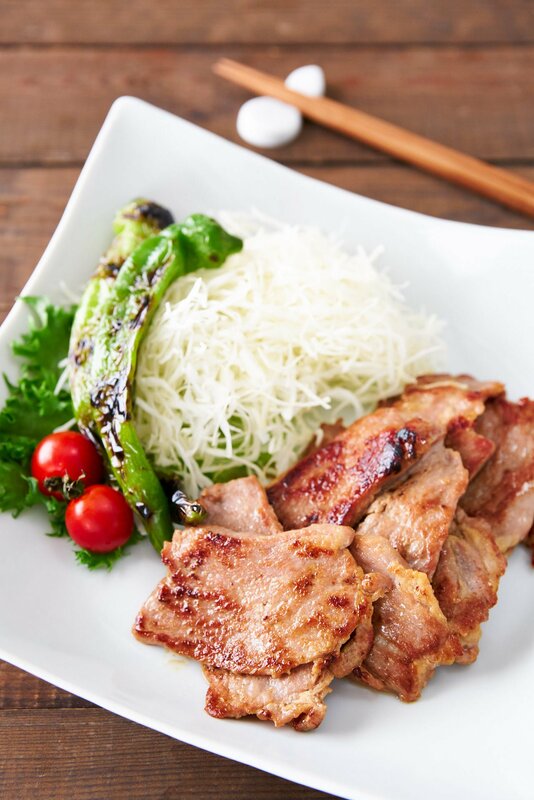 A fragrant ginger and soy sauce marinade turns an inexpensive cut of pork into something tender and delicious in this Japanese style Ginger Pork, or Shogayaki. What is Buta no Shogayaki? 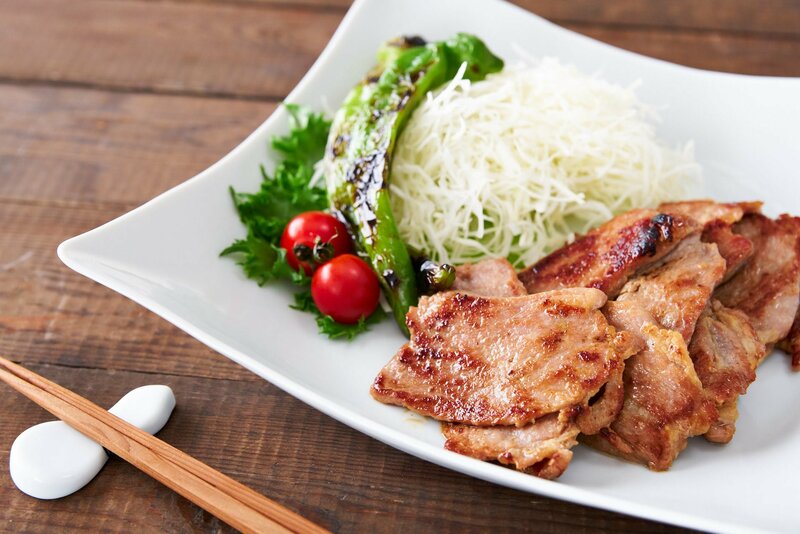 Buta no Shogayaki (豚の生姜焼き), literally means Pork Grilled with Ginger in Japanese, and is made by marinating thin slices of pork in a simple gingery sauce before being pan-fried until golden brown. It’s creation is attributed to a Tonkatsu restaurant in Ginza just 70 years ago and yet it’s become a staple of home cooking in Japan along with other modern classics such as Chicken Teriyaki, Hambagu, and Japanese Curry. The strong fragrance of ginger helps smooth over some of the funky notes that pork can have while imparting a warm, comforting heat to the marinade. Ginger also has a few hidden superpowers that make it the perfect addition to this dish. The first is that ginger contains an enzyme called Zingibain. Aside from having a cool sounding name, this protease enzyme breaks down the peptide bonds in complex proteins. Put simply; it makes meat tender by breaking down the connective tissues that would normally make it tough. Ginger’s second superpower is that it contains antimicrobial compounds that inhibit the growth of pathogens. This means that it not only makes your meat tasty and tender, it also makes it last longer; perfect for prepping over the weekend for a quick weeknight meal. The marinade for Shogayaki is super simple with equal parts soy sauce and sake, a half part ginger juice and third part sugar. The resulting sauce is redolent of ginger with a mild sweetness that balances out the saltiness of the soy sauce. I love the way the umami in the sake amplifies the savory goodness of the pork, but this is a marinade that will work well with just about any kind of meat or fish, including lamb, chicken, beef, and cod. 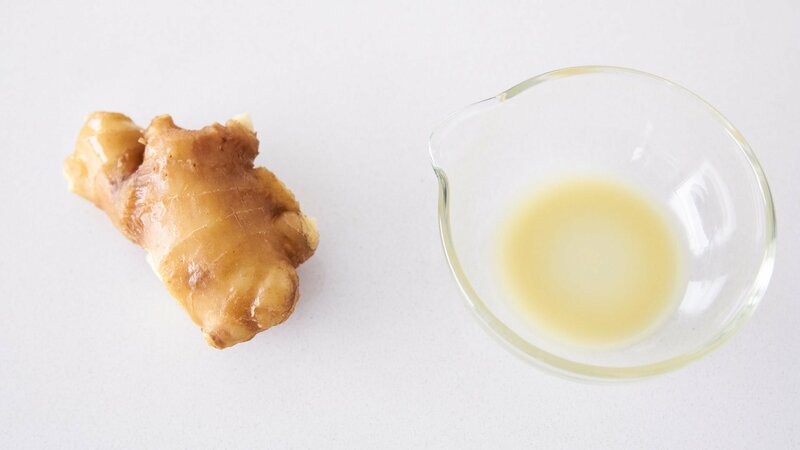 Ginger is filled with stringy fibers that can add an unpleasant texture to your food, that’s why I like to juice it before using it marinades. Don’t worry, you don’t need any fancy equipment and an ordinary box grater, or Microplane will work. All you need to do is grate the ginger into a pulp and then press the pulp through a tea strainer to extract the juice. Although the Japanese have an early history of consuming wild meats, the establishment of Buddhism among the ruling class led to the shunning of meat, along with periodic bans on meat consumption for over 1000 years. It’s only been in the past 150 years that meat consumption has been widely accepted in Japan, and pork has been a relatively affordable favorite. I like to use a boneless shoulder roast for my ginger pork, but leg or sirloin will work as well. The key is to use a cut with a bit of fat on it. Usually, these cuts also tend to have some tough connective tissue, but because ginger has the magical ability to tenderize meat, you can enjoy all the flavor these tougher cuts have without giving your jaws a workout. If you know the right tricks, these cuts of meat are not only flavorful; they’re also a lot cheaper than the more tender cuts of pork like the loin. If you decide to make this Shogayaki using a very tender cut like the tenderloin, you’ll want to eliminate the marination time; otherwise the tenderizing enzymes in the ginger can make the meat too soft. Like most home-cooked favorites from around the world, the recipe for Shogayaki depends largely on the cook who makes it. I like the meaty substance of using hand-sliced pork, but there are some in Japan that prefer using ultra-thin pork that’s been cut with a meat slicer. Some people also like to dust their pork with a thin coating of flour, or potato starch. This has the benefit of helping the sauce stick to the pork, especially if you don’t plan on marinating it. That being said, I’m not a huge fan of the way the coating gets gummy after absorbing the sauce, and if you marinate the pork long enough, the flavor is all on the inside. The last variation of ginger pork I want to talk about is one that’s made using miso instead of soy sauce. This gives Miso Shogayaki an earthy nutty flavor that goes beautifully with the pork. In Japan, shogayaki is usually served with rice, and it can also be paired with thinly shredded cabbage and miso soup to make it a teishoku (定食), or meal set. If you want to make the shredded cabbage, just trim the stems from the tender inner leaves of a head of cabbage and then roll them up. You can then use a sharp knife to cut the cabbage into thin threads. Then you can soak the cabbage in water for about 15 minutes to crisp it up before draining and spinning it to remove the excess water. This easy salad goes great with my Japanese-style sesame dressing. It can also be served directly on top of a bowl of rice to make a shogayaki-donburi (生姜焼き丼). If you do make a donburi, my recommendation is to prepare a bit of extra sauce and boil it until thick, which you can drizzle on top of your ginger pork rice bowl. Once marinated, this ginger pork will keep for up to a week in the refrigerator which makes it a perfect addition to your weekly meal plan as most of the prep can be done ahead of time. You can pan-fry just what you need, but I usually like to cook up a little extra as the leftovers are fantastic packed into a bento box for lunch the next day. 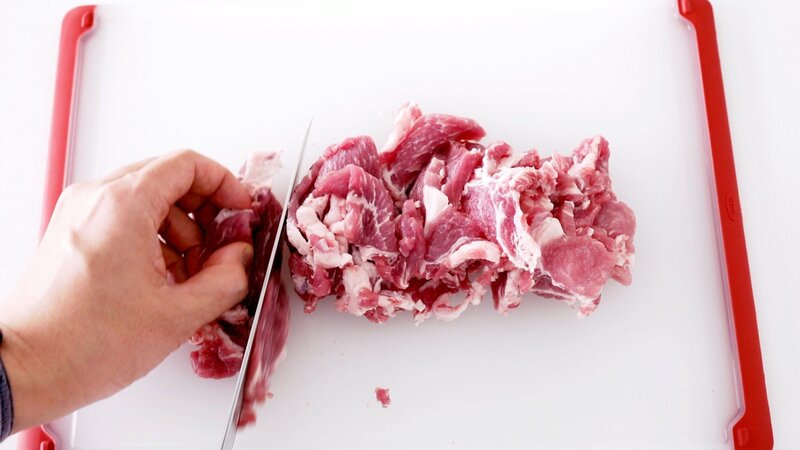 Use a sharp knife to slice the pork into even slices. Ideally, you want to get it down to about 1/8-inch. If you have trouble doing this, you can partially freeze it, which will make it much easier to slice thinly. 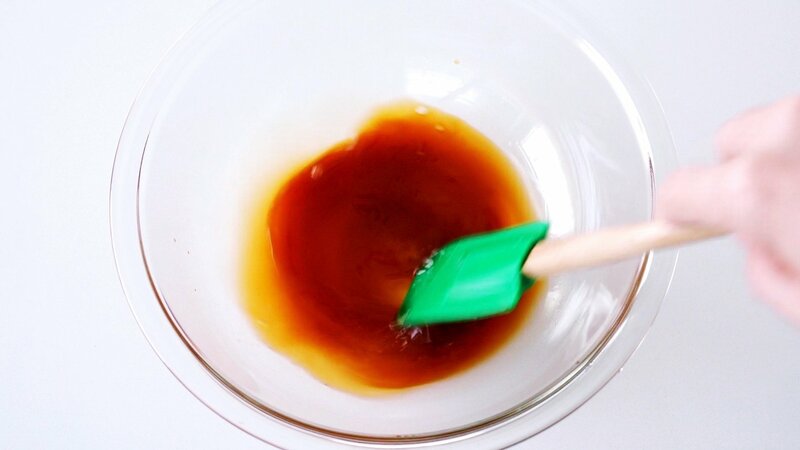 Whisk the soy sauce, sake, ginger juice, and sugar in a bowl until the sugar is fully dissolved. 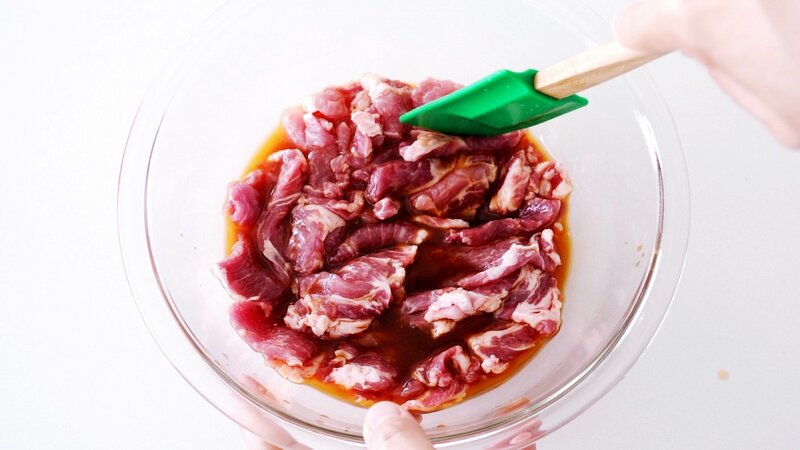 Add the sliced pork to the marinade and mix it well so that the marinade is coating each slice. Cover and refrigerate for at least 1 hour (preferably overnight). 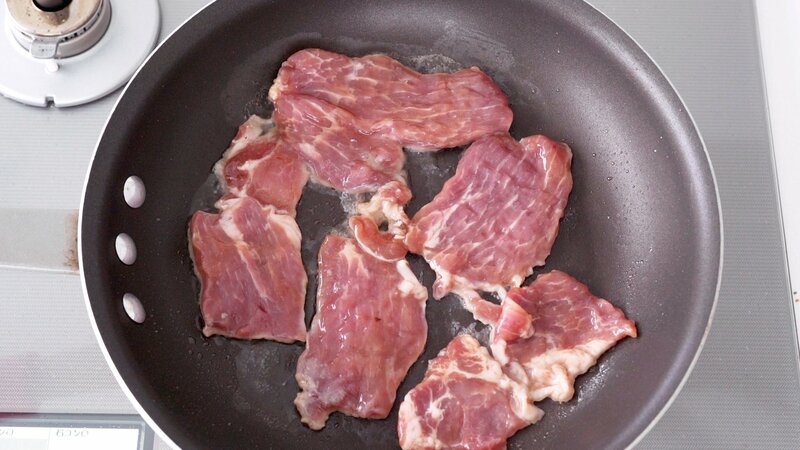 When you're ready to fry the ginger pork, heat a frying pan over medium-high heat until hot. Add a bit of oil to the pan and then lay the marinated pork in a single layer. 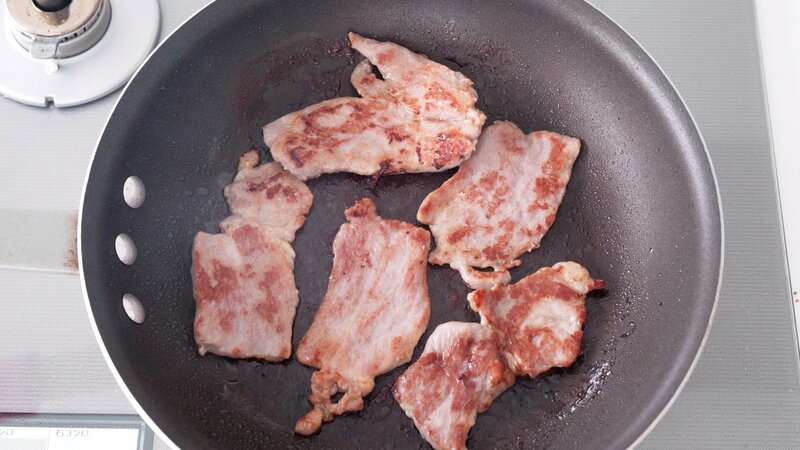 Fry the pork until browned on one side, and then flip and brown the other side. If it's not as caramelized as you'd like it to be, keep flipping the pork over a few times until you get a nice golden crust on both sides.